Moral: WROOOOONG, Oprah is a GORILLA! 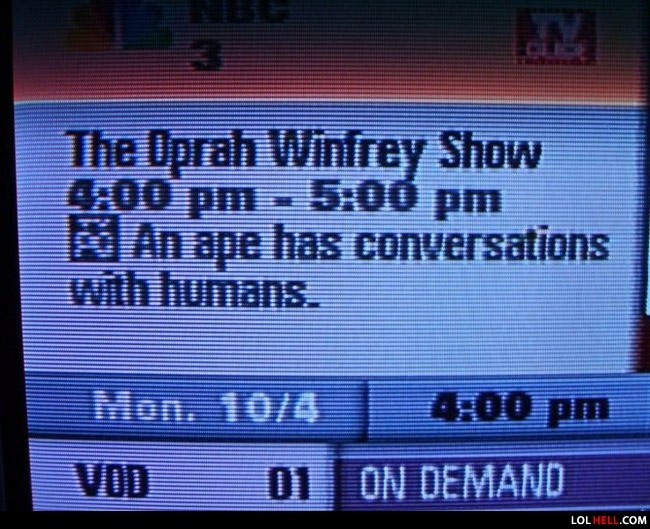 That Apes name is Oprah Winfrey. That is so offencive. Everyone knows Oprah is a cow. and you win a chimp! and you win a chimp! and you win a chimp!! Now that's one damn wealthy ape ! Richest ape in America ! ^ EVERYBODY WINS A CHIMP!